Today is Saturday and today and tomorrow are days to visit and catch up with my aunt. 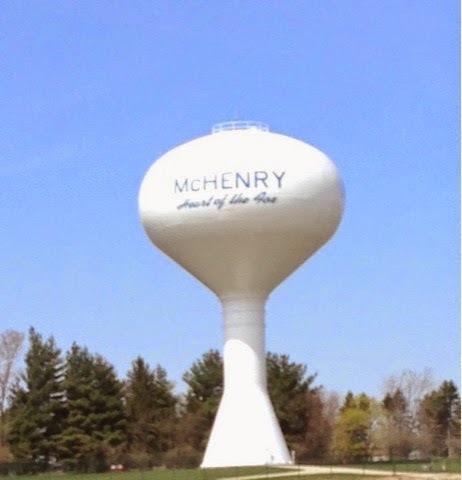 She moved to McHenry, IL in the early 1960's with her husband who was from here. He died many years ago and she keeps busy with friends and neighbors as well as playing golf and volunteering. She misses being close to relatives who are back in Massachusetts. I brought the subject up, as I did last year, that she could stay in closer contact if she was willing to get a tablet and follow family on Facebook. Today she relies on phone calls and Christmas cards with children pictures to track the family. She has never had or used a computer. 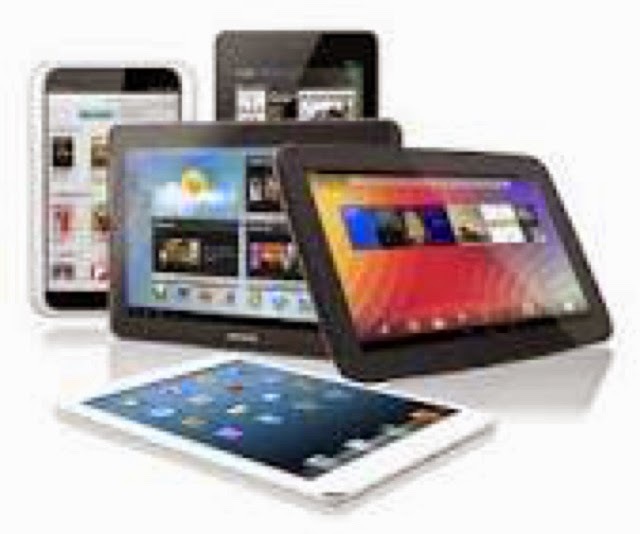 My suggestion is to get a tablet with WIFI (no cellular) as she goes to places like the library where there is free wifi. Then my plan is for her to just have a Facebook account to start, where she can view what family members post. If she wanted to post a comment, a like, or private message them she could. She is explicit that she doesn't want email to have to manage or another monthly bill. At least at this time. I also explained that although she is in her 70's she can do it and that social media is what younger people do rather than pick up the phone to stay in touch. She is thinking about it. We spent the morning visiting and she showed me a card game. This afternoon she was off to play cards with friends at their weekly get together. 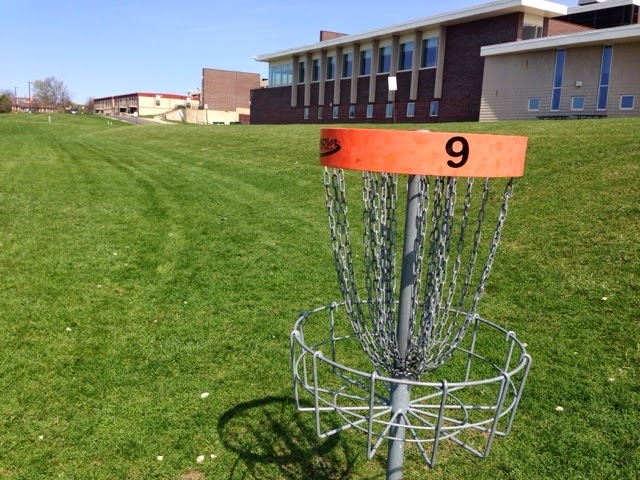 I decided to drive south to the town of Crystal Lake to play 18 hole Disc Golf but when I got there the first tee had about 15 people waiting to tee off and it looked like it was moving very slow. 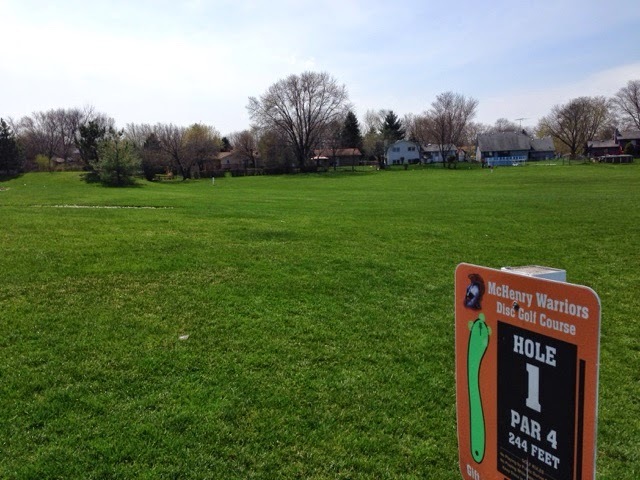 I had driven through some heavy traffic to get here and decided to drive back through the heavy traffic to McHenry to a 9 hole course at the high school. In contrast there was no one here. I wish one of our high school classes would put in a 9 hole course at Oakmont Regional High School at home. The entire course is layed out around the edge of the high school property. 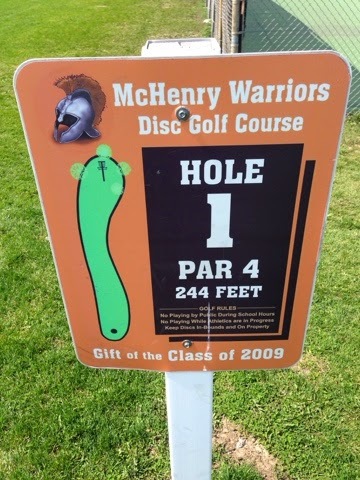 So there are long open drives on all holes with only a couple interesting features on holes 5 & 6. What made this course a chalange was that a cold front slid down over us early this morning rushing in a stiff northeast wind. With a steady breeze of 17 mph and gusts to 21 mph it made for some interesting drives. When throwing into the wind I was getting my disk to jump up and do some hang time. Puts would drift and trying to compensate was difficult. With the wind it added enough difficulty to turn this course into a more challenging afternoon. 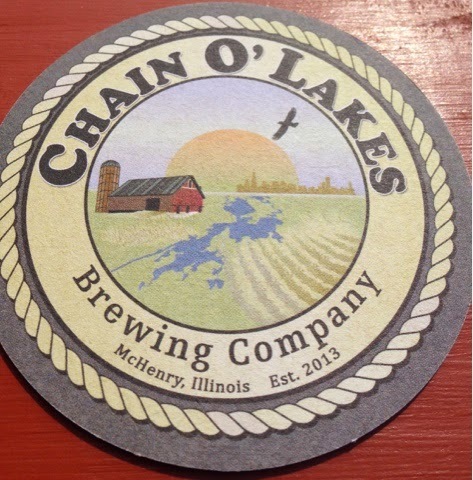 Just one block from my aunts house in diwntown McHenry there is a brew pub and with some time to kill before my aunt gets back from playing cards and we go out to eat, I decided to check out their brew pub. 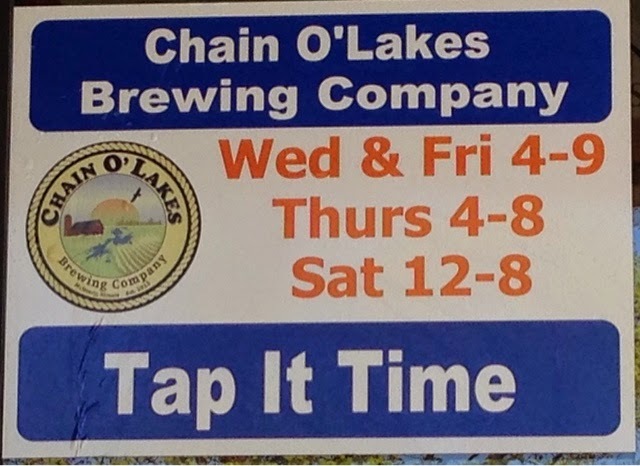 Chain O' Lakes Brewing had been in business since 2013. They offer a variety of dark to light beer and today everyone was outside enjoying the warm sun in the courtyard/beer garden where some patrons were spinning vinyl records they brought and there was a vendor selling hotdogs and bratwurst. I like a beer that is not bitter so the bartender hooked me up with a smooth golden brew that was smooth with no after taste so I sat in the courtyard and people watched & did email & Fasebook. The corner area outside blocked the northeast wind making it feel warmer so I went into short sleeve mode. The bartender hooked me up talking to Hugh who is in his late 20's who plays disc golf. We talked about a few courses in the area for my future consideration. I have been craving pizza and my aunt was game so my treat she picked Halftime Bar and Grill. My aunt likes pizza too and she says theirs is the best in the area. They are located in the town just north in the town of Johnsburg, Illinois. My aunt was correct they had excellent pizza. A large thin crust with an excellent cheese flavor wth toppings of our choice and sfoft drinks and tax it was only $18 with the tax. My aunt knows her pizza. One more day (Sunday) to visit and Monday am I head out on more adventures before arriving at son Brent's house in Maryland next weekend. I feel my travels wrapping up but I have some ideas of interesting places and fun things I am planning on doing over my last 2 weeks. I have been on the road living my dream for 3 months now & I am so glad to see spring come. I als I have some more things to share about this lifestyle. It is ok to ask me any question you may have about my living in and out of the Prius, locations I have visited, etc. I would venture to guess that somewhere inside of you that you follow my travels as you would like to do something like this someday yourself. My first tip is if you feel this way is to make a plan on what you need. Then you will need to test your plan on an overnight or weekend trip. Don't even try stealth until you are comfortable sleeping in your vehicle. I slept a couple different times in my Prius before i left on my trip. I had my doubts my system would work to my satisfaction, but I was committed and it all worked out in the end. If you have questions ask and if you want to stay out of the blog write me directly and I will not disclose you and will answer for everyone to see as they may have the same question. I will be summing up my expenses when I get home.